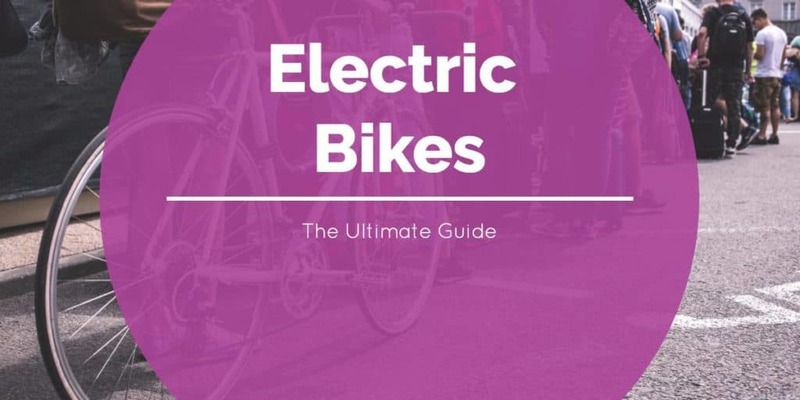 ​Electric bicycles are popular worldwide. Being a large vehicle with solid framing, manufacturer's have had an electric solution for bicycles for many years. They are mainly used by commuters, people that could use a bike to get to work, run errands, or for sight-seeing. Being a commuter type of transportation, the majority of the riders tend to be adults. European countries have really embraced the E-Bike. It's been reported that in 2010 they had purchased over 700,000 E-Bikes. E-Bikes that assist the rider's pedaling power have the main focus of making it easier to pedal a bike. Be it on long commutes or up hills. They still provide good exercise while making it perfectly useable as a means of alternative transportation. The more powerful E-Bikes that don't require the rider to pedal are sometimes referred to as "moped-style" bikes. In some states or countries, there are regulations that classify a two-wheeled vehicle as a moped and / or a motorcycle. Desiring to remain classified as a bike, many manufacturer's limit the capabilities of their E-Bikes. Classifying an E-Bike can get a bit fuzzy. So we will cover very broadly the types of E-Bikes available. Pedal Assist Only: These E-Bikes require the rider to pedal to generate propulsion. The motor is used only to supplement the rider's power. While the size of the bike frame allows very powerful motors, being classified as a Pedal Assist Only bike is convenient and very desirable (compared to being classified as a moped or motorcycle). They often limit the power boost up to a certain speed, commonly 15 mph. S Pedal Assist Only: These are the same as a Pedal Assist Only E-Bike, with the one exception being they have a larger motor. Oftentimes providing boost up to 28 mph. In many countries and jurisdictions, these kinds of E-Bikes are classified as a moped or a motorcycles, and not a bicycle. There are primarily three factors to understand about an E-Bike. Hub Powered Propulsion: This type of system usually has the motor in the hub of the wheel, referred to as a "hub motor". These are very popular and an elegant all-in-one solution. Mid-Drive System: The motor is external of the wheel. It is usually mounted under the bottom bracket (where the crankset is located). It usually connects to the drivetrain using a cog onto the bicycle chain, or some other mechanism. Essentially, providing power to the pedals rather than to the hub. Sealed Lead Acid (SLA): These are very common on E-Bikes. They are very cheap and can provide alot of power. A downside to them is they are very heavy and bulky, introducing challenges on mounting them optimally. They also have shorter lifespans as they have fewer discharge rates. But remember, they're dirt cheap to replace. Lithium Ion: Normally seen on more expensive E-Bikes. They are small and light, and make it easier for bike designers to mount them on a bike frame with optimal positioning. Discharge rates are very high, which translates into much longer lifecycles. It's often estimated for an E-Bike that one would need to buy 4 lead-acid batteries to match the lifespan of one Lithium Ion battery. One thing to consider regarding batteries. Initial cost to buy a bike with SLA's will be lower. But over the lifespan that you own the bike, if long enough, the bike with the Lithium Ion may be lower cost in the long run. So don't let the initial purchase price be the major deciding factor. Controllers control how much power is applied and when. Most manufacturer's employ one of two methods. Crankshaft Sensor: Commonly used in Pedal Assist E-Bikes. The controller will sense how fast the crankshaft is turning by way of a magnet sensor system to determine how much power assist to apply. Basically, the faster the cadence, the more power the controller will signal the electric motor to provide. It's a simple system that works very well. A flaw to this design is going uphill, being harder to pedal for the rider, will typically mean a slower crankshaft, which translates into less power assist by the electric motor. Torque Sensor: Very similar to the Crankshaft Sensor with one added benefit, this system is able to determine how much torque is being applied by the rider's pedaling, thus being ably to determine if they are going up a hill. It solves a major shortcoming of the Crankshaft Sensor system, but is much more costly. Hand Throttles: As you would expect, the hand throttle doesn't rely on any sensors to determine how much power to apply. The rider has direct input into how much power should be applied and when it should be provided. This is the simplest of all solutions. Why are there 3 different types of controllers? In the beginning nearly all forms of E-Bikes were hand controlled. It was simple and familiar coming from a motor-scooter or a motorcycle. And it was that "similiarity" that had governments and municipalities struggling how to classify what is a motor-scooter from a motorcycle from an Electric Bike. Some governments had made the single identifying factor being the fact that propulsion had to be pedal assisted to be considered an E-Bike. Thus forcing many designers to convert their E-Bikes from hand throttles to some form of pedal assisted bike using a crankshaft sensor initially, and lately due to new technology, a torque sensor. Let's be frank. E-Bikes aren't perfect for the US market. They may have worked extremely well in China and Europe, but American's love their cars. ​Usually it's expenses or inconvenience of driving a car that drives one to look for an alternative form of transportation such as a bike. Most folks think of a bike before they think of an E-Bike. They just haven't gotten mainstream exposure as a cool form of transportation. But things are changing in the US. Live in a hilly city (ie San Francisco) and ​a regular bike won't work as a commuter. For exercise, yes, but as a form of transportation to-and-from work, no. That's a perfect application for an E-Bike that excels at making hills much easier to climb. Live in a city where the cost of owning and parking a car is too expensive. A regular bike would work in this situation, but if the commute is long, an E-Bike could make the route much more pleasing. Boomers wanting to ride a bike. Yes, they're getting older and living longer. But they still want to enjoy life, bike with their kids and grandkids, and be an active participant rather than sitting in a rocking chair watching the fun. An E-Bike can enable an older person the ability to keep up with the younger generation. Millenials wanting nothing. No house, no car, etc. But it still doesn't change the fact they may have to travel long distances. And with that, an E-Bike fits the bill. And at the same time, not being "just a bike". With some of the new designs coming out by boutique bike builders, E-Bikes are available that have that cool factor. These bikes also show that they're doing their part to be green.